Music, Music, Music. It’s a #1 song from 1949, sung by Teresa Brewer, with the line, “All I want is loving you and music, music, music.” We are lucky enough to have plenty of music here in the Twin Cities. Here’s a sample of what’s in store for the coming week. Charmin & Shapira and Friends @ The Dakota, Minneapolis. 7pm (No Cover) Vocalist Charmin Michelle and guitarist Joel Shapira have an ability to create intimate moments, thanks to Michelle’s supple and inviting voice, and Shapira’s liquid guitar lines. They also swing with élan. Their friends tonight include Paul Harper, sax; Tom Lewis, bass; and Nathan Norman on drums. Dorothy Doring & Donald Washington @ Jazz Central, Minneapolis. 7:30pm ($10 Suggested Donation) VocalistDoring is adept at both blues and jazz, bringing verve to both. 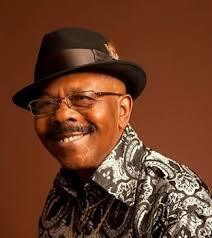 Drummer/vocalist Washington has a deep smooth tone to his voice, which is equally adept at blues and jazz. Le Percheron + Levi Schwartzberg Quintet @ Khyber Pass Cafe, Saint Paul. 9pm ($5) The headliner for this intimate gig is Le Percheron: Bassist Adam Linz; Levi Schwartzberg, vibes; Brandon Wozniak, sax; and Noah Ophoven-Baldwin, trumpet. Levi Scwartzbergs’ own quintet of fine young musicians will be opening: Peter Goggin, alto sax; Charlie Lincoln, bass; Benjamin Beyene, drums and Aidan Sponheim, keys. Foreign Motion @ The Icehouse, Minneapolis. 10pm (No Cover) A relatively young quartet creating 21st Century jazz. Leader/guitarist Cory Wong has been playing with Patty Peterson, Mambo’s Combo, Robert Robinson, and other bands around town, recently played the Dakota with Rolling Stones sidemen Tim Ries and Bernard Fowler. When RS Drummer Charlie Watts joined them, Wong’s solo on “Paint It Black” got a standing ovation. Joining Wong are long time bandmates Yohannes Tona, bass; Kevin Gastonguey, keys; and Peter Janjic, drums, each of whom has their own sterling credits. Tommy Bruce Trio @ Parma 8200,Bloomington. 7:30 – 10:30pm (No Cover) Bruce is one of the unheralded vocalists in town. His smooth baritone, so good for this venue, deserves wider recognition. Tommy Bentz Quartet @ The Nicollet Cafe, Minneapolis. 9pm (Tip Jar) Guitarist Bentz has studied violin, sax, oboe, and bass which allows him to integrate many musical ideas into his playing. He’ll be joined by Steve Kenny, trumpet; Alex Burgess, drums; and Jason McLean, bass. Saturday Night Jazz @ The Black Dog Coffee & Wine Bar, Saint Paul. 7pm – 10:30pm ($5 – $20 Suggested Donation) The Will Schmid Group plays at 7 pm. Guitarist Will Schmid will be a HS senior in the coming year. His group includes Gerhardt Robinson, sax; Jesse Horson, drums; Tyler Wagner, bass. The Graydon Peterson Quartet comes on stage at 8:30 with Peterson bass; Adam Meckler, trumpet; Vinnie Rose, guitar; Adrian Suarez, drums. Benny Weinbeck Trio @ Parma 8200, Bloomington. 7:30pm (No Cover) High quality piano jazz, with Weinbeck on the keys, Gordy Johnson on bass; and Phil Hey on drums. Perfect for the small lounge at this Italian restaurant. Hannibal Lokumbe @ Penumbra Theater, Saint Paul. 10pm ($35) With Kevin Washington, drums; Jeff Bailey, bass; Jason Butler, piano. Original works, including “And Their Voices Cry Freedom,” written to honor people who devoted lives to the liberation of humanity (Malcolm X, Nelson Mandela, others). Twin Cities Jazz Cats @ Crooners Lounge & Supper Club, Fridley. 7pm – 10pm (No Cover) With four vocalists and an 8 piece band, these cats will likely have some of the diners at Crooners leaving their desserts to take a spin on the dance floor. Bryan Nichols’ We Are Many! and Jonah Parzen-Johnson @ The Icehouse, Minneapolis. 9:30pm ($10)We Are Many! is a large ensemble. Some of the players include: Jeremy Ylvisaker, Brandon Wozniak, Nelson Devereaux, Dave Graf, Adam Linz, James Buckley, JT Bates… Parzen-Johnson is a NYC based performer on baritone sax and synthesizer. As JT Bates describes him, “Jonah plays lofi experimental folk music for solo baritone saxophone and analog synthesizer. Imagine the raw energy of an Appalachian choir, balanced by a fearlessly exposed saxophone voice, resting on a strikingly unique combination of analog synthesizer components sitting on the floor in front of him.” Here’s a video of Jonah Parzen-Johnson. Freddy Cole @ the Dakota, Minneapolis. 7pm ($25 – $35) Though he is the younger brother of Nat King Cole (and the uncle of Natalie), Cole’svoice is darker, and a bit more raspy. Then too, Cole’s own abilities have caused comparisons to Nat to fade over the years. His comforting voice is mature, expressive, and supple, characteristics that make him an outstanding jazz vocalist. Pete Whitman’s X-Tet @ Jazz Central, Minneapolis. 8:30pm ($10 Suggested Donation) I believe this is the original X-Tet, which hasn’t played much since the Artists’ Quarter closed down. Its members include Whitman, Clay Pufahl, and Dave Karr, saxes; Adam Meckler and Adam Rossmiller, trumpets and flugelhorns; Jeff Rinnear, trombone; Dave Hagedorn, Vibes; unknown bass; and Phil Hey, drums. It’s a swinging aggregation. Javier & the Innocent Sons on KFAI and @ the 331 Club, Minneapolis. 5pm (90.3 and 106.7FM), and 7pm (331 Club – Tip Jar) Between Javier’sbottleneck slide, and Dan Scwalbe’s searing guitar solos, backed by the solid foundation of Greg Wibben’s upright bass and Dave Larson’s drums, this band can rock the blues as well as swing them. Tune in and head to the 331 Club afterwards for more. Chess Records Tribute @ Lee’s Liquor Lounge, Minneapolis. 9pm ($5) This year marks the Centennial Anniversary of the birth of Muddy Waters and Willie Dixon. A bunch of resident blues artists are celebrating tonight, including The Fattenin’ Frogs, Javier & the Innocent Sons, Big George Jackson, Mari Harris & Robert Hillstrom, Loons in the Attic, and Tone House. The Good, the Bad, and the Funky @ The Minnesota Music Cafe, Saint Paul. 9pm ($10?) This eleven-piece funky horn band will have dancers filling the floor at MMC. Mad Ripple Hootenany @ Moe’s, 2400 HIhgway 10, Mounds View. 12 Noon until ($?) This gathering of singers and players will feature Dan Israel, Geno La Fond & Amy Grillo, Mary Cutrufello, Big George Jackson & Jeremy Johnosn, Dave Babb & Tony Paul, the Paul Metsa Trio, Papa John Kolstad & Friends and Charlie Parr. Willie Walker and the We R Band @ Crooners Lounge and Supper Club, Fridley. 7:30 – 10:30pm (No cover) Here’s a chance to hear the oh-so-soulful Mr Walker in a supper club. His latest CD, If Nothing Ever Changes, was produced by Rick Estrin, of the Nightcats, and it is very, very good. Dos Santos Anti-Beat Orquesta @ Bedlam Theater, Saint Paul. 10pm ($12) Bands continue to mine past styles of dance music, updating them with modern instruments and production. Case in point: Chicago’s Pan-Latin Cumbia band, Dos Santos Anti-Beat Orquesta, a quintet whose members have had careers in a wide range of styles, from Cuban son to salsa, blues, and jazz. They’ll be joined by the Twin Cities own Alma Andina and their unique take on Andean electro-Cumbia, as well as the Chicago DJ Collective Sonorama. Beebe-Q @ Barely Brothers Records,Saint Paul. 2pm (Free) The vinyl record store has taken to having live bands on occasional basis. Today it’s Beebe Gallini, an all-female garage band named for a pink-clad character that appeared in one episode of The Brady Bunch. The band is Miss Georgia Peach, guitar & vocals; Sally Sweet, organ, Lynn Zecca, bass; and Emily Ruiz, drums. Groove Merchants at the Roseville Blues Fest @ Roseville Central Park, 2540 No. Lexington Av, Roseville. 4:30 – 8pm (Free) the afternoon starts with Rick Rhythm Williams doing some spoken word and song. The Groove Merchants will headline, with Jimi Prime Time Smith and his guitar leading the party. Extra Special Guest Ms Dee Miller, recently won a multi-week Battle of the Blues Bands for the right to be at the Lowertown Blues Festival, will be on hand to raise the temperatures a bit. Paul Mayasich and Big George Jackson @ The Station, White Bear Lake. 8pm (free) Though the name of the place has changed from Manitou Station to simply the Station, Tuesday nights remain the same with guitar slinger Paul Mayasich bringing in friends to play. Tonight’s guest is singer/harpist Big George Jackson, whose deep voice can shake your insides. This entry was posted on Wednesday, June 10th, 2015 at 11:01 am and is filed under Weekly Preview. You can follow any responses to this entry through the RSS 2.0 feed. You can leave a response, or trackback from your own site.